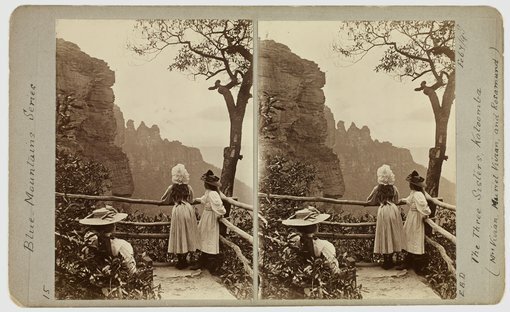 The Art Gallery of New South Wales is proud to present the major exhibition The photograph and Australia , which explores the crucial role photography has played in shaping our understandings of the nation. It will run from 21 March to 8 June 2015. Tracing the evolution of the medium and its many uses from the 1840s until today, this is the largest exhibition of Australian photography held since 1988 that borrows from collections nationwide. It presents more than 400 photographs by more than 120 artists, including Morton Allport, Richard Daintree, Paul Foelsche, Samuel Sweet, JJ Dwyer, Charles Bayliss, Frank Hurley, Harold Cazneaux, Olive Cotton, Max Dupain, Sue Ford, Carol Jerrems, Tracey Moffatt, Robyn Stacey, Ricky Maynard, Anne Ferran and Patrick Pound. Iconic images are shown alongside works by unknown and amateur photographers, including photographic objects such as cartes de visite, domestic albums and the earliest Australian X-rays. The exhibition’s curator – Judy Annear, senior curator of photographs, Art Gallery of NSW – said: 'Weaving together the multiple threads of Australia’s photographic history, The photograph and Australia investigates how photography invented modern Australia. It poses questions about how the medium has shaped our view of the world, ourselves and each other. The exhibition brings together hundreds of photographs from more than 35 private and public collections across Australia, England and New Zealand, including the National Gallery of Australia, the National Library of Australia and the State Library of Victoria. Highlights include daguerreotypes by Australia’s first professional photographer, George Goodman, and recent works by Simryn Gill. Curated from a contemporary perspective, the exhibition takes a thematic rather than a chronological approach, looking at four interrelated areas: Aboriginal and settler relations; exploration (mining, landscape and stars); portraiture and engagement; collecting and distributing photography. A lavishly illustrated 308-page publication, The photograph and Australia (Thames & Hudson), accompanies the exhibition, reflecting its themes and investigating the medium’s relationship to people, place, culture and history. The major publication is the product of extensive research undertaken by the Art Gallery of NSW’s senior curator of photographs, Judy Annear, with contributions by Michael Aird, Kathleen Davidson, Martyn Jolly, Jane Lydon and Daniel Palmer and a postscript by Geoffrey Batchen. A major symposium will be held at the Gallery on 18 April 2015 addressing the proliferation and distribution of photographic images.